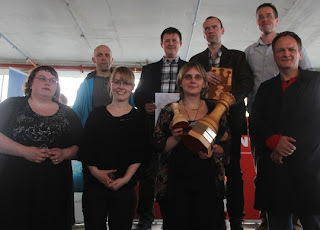 The Icelandic Open – Icelandic Chess Championship took place in Reykjavik 31st May – 8th June. The Icelandic Chess Championship was held for the first time in 1913 so this was the 100th year anniversary. Reykjavik Chess Club organised the tournament until 1927 when the then newly established Icelandic Chess Federation overtook it. To celebrate this anniversary, the Icelandic Chess Federation decided to organize this tournament with a completely different format than usual. It was open for everyone – which has never been done before. Almost 70 players participated. 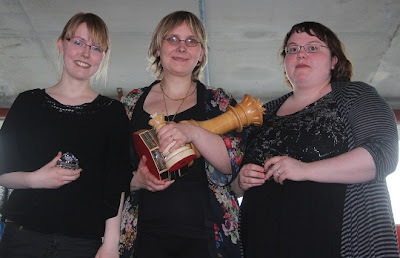 The tournament was also the Icelandic Women Championship. The tournament was played at a unique playing venue. It was at the 20th floor at the Tower in Borgartun, in the heart of Reykjavik’s financial district, in a rustic loft setting, more typical of an artist studio. When the organizers got there, there was limited electricity, no internet, no chairs and tables. But everything was solved in time – Icelandic style! The minister then played 1. e2-e4 for the highest rated player of the tournament, GM Hedinn Steingrimsson, and kicked off the tournament. And it started with a bang! 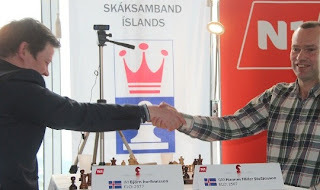 In the first round, there was one of the most surprising results in the history of the Icelandic Chess Championship when Loftur Baldvinsson, who has no international rating but is rated 1706 nationally, beat IM Bragi Thorfinnsson (2478) in a game which is probably the game of his life. Steingrimsson started also badly, when he lost to a Scottish player Michael Grove (2045) in round two, overstepping the time limit. Soon it was clear that the eleven times Icelandic champion Hannes Stefansson was in excellent form. Hannes, who had a horrible Icelandic Chess Championship last year when he ended with only 50%, beat both Thorfinnsson-brothers, but he lost to both of them last year. Before the last round, Hannes had a one point lead to the Thorfinnsson-brothers and played Hedinn in the last round (10th), but the brothers played against each other. Hedinn beat Hannes, after Hannes blundered a piece, but Bjorn beat his brother and with that he earned his first GM-norm. Then it was clear. Hannes and Bjorn were the winners with 8 point out of 10 games. The laws of the Icelandic Chess Championship were recently changed. Before, if two players shared joint first place on points, they were supposed to play 4 games with standard time control. After the change, however, there is a similar system as in tie breaks at the World Cup and played on the same day. So they played two games with 25+10. First game ended with draw but Hannes won the second game and therefore the match 1½-½. It is for the 12th time that Hannes has taken the title! And to make it even more remarkable, Hannes has won the tournament 12 times in his last 13 attempts! 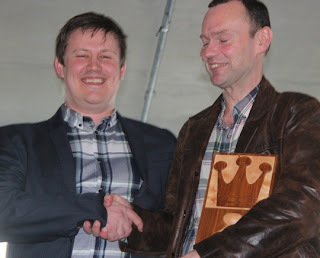 As the newly-crowned champion, Hannes earned a spot at the European Individual Championship in Yerevan in Armenia, representing the Icelandic Chess Federation. Bjorn will however represent Iceland in the Nordic Chess Championship in Koge Kyst in Denmark this autumn. Hannes and Bjorn were clearly the players in the best form in this tournament. The Thorfinsson brothers have been in second place in the Icelandic Chess Championship since 2009! Bjorn now and in 2010, but Bragi 2009, 2011 and 2012. Their time must come sooner or later! IM Hjorvar Gretarsson and Hedinn ended in 3rd and 4th place. Hjorvar got the bronze medal after tie break. GM Henrik Danielsen, FM Gudmundur Gislason and Bragi ended in 5th-7th places. Lenka Ptacnikova became the Icelandic Woman Champion for fifth time and second time in a row. Johanna Bjorg Johnnsdottir and Elsa Maria Kristinardottir came 2nd and 3rd. Johanna took the silver after the tie break. There were special prices for best performances according to own ratings both for players above and below 2000 elo. Bjorn took the prices for the players above 2000, but the 10 year old youngster Vignir Vatnar Stefanson took the prices for players below 2000. Vignir is the grand grand grandson of Peter Zophiansson, the first Icelandic Champion of Iceland in chess in the year 1913! The federation wants to thanks all the sponsors. The main sponsors were Icelandic, N1, Olis, Islandsbanki, LS-Retail, Marko Partners, Eurocard in Iceland and Olgerdin. The famous Hamburger Factory gave prices for the game of each round. The tournament was excellent and the new systems made this great. 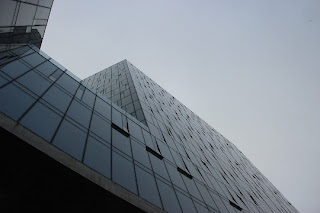 What will happen in future years is unclear. Will it be the classical system closed Round Robin with 12 players or an Open with hopefully more foreign players? The future will tell.